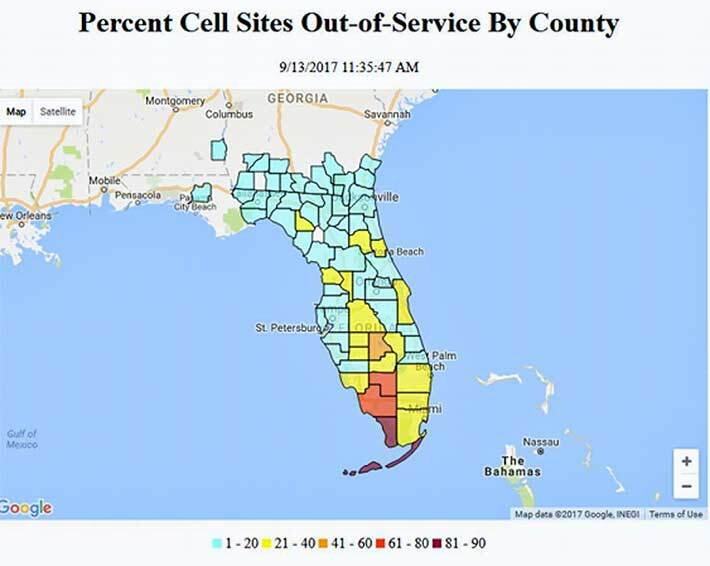 Although the FCC said that cell sites out of service in the affected area of Hurricane Irma decreased in Florida from 24.6% yesterday to 18.1% today, according to a contractor providing disaster recovery in the state the healthy 26% drop is unlikely to be a daily event since a number of sites have physical as well as refueling issues that could take a week or more to fix. In the Florida Keys and Monroe County, 89 sites were down, the same number as yesterday. Heavily populated Miami-Dade County saw a considerable drop to 31.8% today versus 42.% yesterday. Collier County didn’t fare as well with 64.7% of its sites still down compared to 72.6% yesterday. Hard hit Hendry County saw little relief from yesterday with cell sites still down 76.1%, a small improvement from yesterday’s 78.3%. Cell service in the U.S. Virgin Islands is still crippled with 55% of cell sites still down. 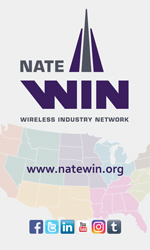 Businesses reliant upon cable systems and wireline to operate are still suffering. FCC records show that there are at least 8,190,407 (up from 7,184,909 yesterday) subscribers out of service in the affected areas in Alabama, Florida, and Georgia. Also, there are a total of 1,040 (up from 819 yesterday) non-mobile switching centers out in Alabama, Florida, and Georgia.